As can be seen from the title picture, the Sunbeam speedometer square drive has to be in good order. Years of neglect can lead to the drive becoming rounded leading to erratic speedometer operation. 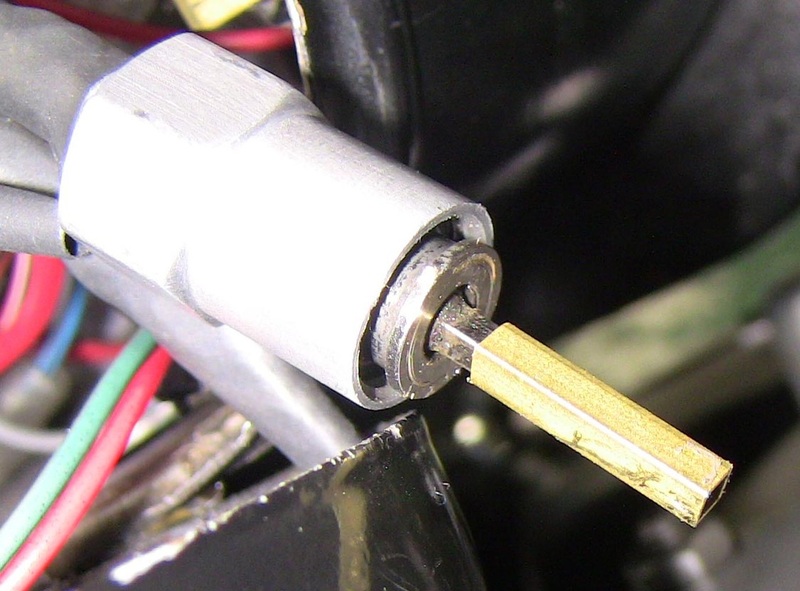 The new Smiths speedometer drive transducer comes with a brass adaptor to convert it to the larger imperial size. The above picture shows the convertor partially slid onto the transducer. 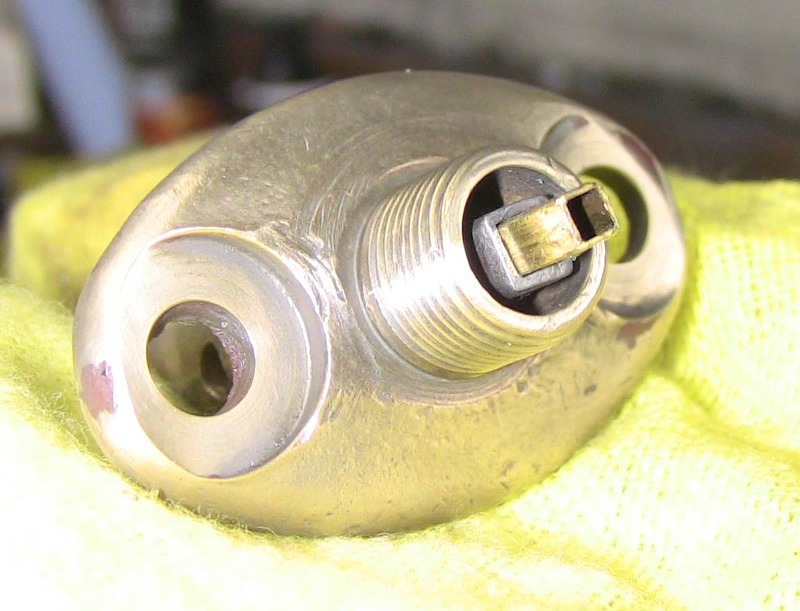 The picture below shows the brass adaptor is a snug fit into the Sunbeam gearbox speedometer drive.